Called as Land of The Rising Sun, this 3rd largest economy has a deep tradition of gifting flowers. Chocolates are most commonly given on Valentine’s Day by couples while flowers are gifted during other occasions like Birthdays, Anniversaries etc. Gifts in pairs are considered to be lucky. Red roses, Gerberas, Carnations, and Orchids would be the perfect options if you are planning to gift someone. Send flowers same day to Japan using our local florists & flower shops. Order by 12 noon. Send Easter Flower Arrangement, Easter Hampers & Gift Baskets to Japan. Send Roses, Carnations, Lilies throughout Japan for occasions like Birthdays, Anniversaries, Funerals, etc. Enjoy affordable flower delivery across Tokyo, Osaka, Yokohama, Nagoya & nationwide delivery. This is a simple traditional bouquet to give to someone special. It contains a dozen red roses and comes gift wrapped. Approximately 12 inches W x 18 inches H.
How do i send International Flower Delivery to Japan? Flora2000 has transformed International flower delivery to Japan into a fine and effortless art. With our efficient flowers & gifs delivery services worldwide; you are sure to find the perfect expression of your message to your loved ones. Be it Roses, Lilies, Carnations or Cakes, our gifts are sure to make both the sender and the receiver happy. We make sure the gifts you give reflects what you feel about the receiver. It is called as Land of the Rising Sun. Its economy is the world's third-largest by nominal GDP. 90 percent of the people live in cities like Tokyo, Kyoto, Osaka, Hakone and Hiroshima. When it comes to gift giving in Japan it is deeply rooted in tradition with gifts given not only for social occasions, but also for social obligations. Chocolates are most commonly given on Valentine ’s Day by couples while flowers are gifted during other occasions like Birthdays, Anniversaries etc. Gifts in pairs are considered to be lucky. 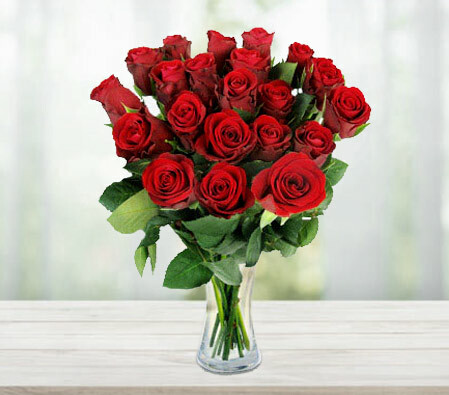 Red roses, Gerberas, Carnations, and Orchids would be the perfect options if you are planning to gift someone. Lilies, lotus and camellias are categorized into sad gesture. Before gifting any Japanese mates make sure you have a glance about Hanakotoba. Blue (forgot-me-not) and red camellias comprises love while cherry blossoms are apt for generous and kindness. Hanakotoba (花言葉) is the Japanese form of the language of flowers. If you are sending flowers to Japan, you should definitely know the meaning of Japanese flowers! Here are 10 of the most common flowers in Japan. Tsubaki (Camellia) signifies humility and the perfect love. Sumire (Violet) represents small love and sincerity. Momo (Peach) shows a Fascinating personality. Sakura (Japanese Cherry) indicates Accomplishment and Beauty of heart. Sakurasou (Primula sieboldii) stands for Desire and Long-lasting love. Asagao (Morning Glory) shows Brief love and Bond of love. Kiku (Chrysanthemum) represents Noble and Purity. Kinmokusei (Orange Osmanthus) represents a True and Noble person. Kosumosu (Cosmos) stands for Cleanliness and Love. Ume (Japanese Apricot) shows Elegance and Faithfulness. We have an exclusive collection of flower arrangements, hampers & baskets for this Easter. Our classy collection of flowers & Gifts for Easter to Japan.